For Your Consideration: "A Dog of Wu"
"A Dog of Wu" is up for Hugo and Nebula nominations. 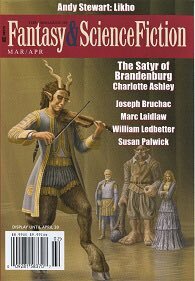 It appeared in the March/April 2018 issue of The Magazine of Fantasy & Science Fiction. It's a 7k+ word novelette set in a future of genetic optimization, environmental rebuilding, and clashing philosophies. SFWA members can find it here, and WorldCon members can purchase a copy here.